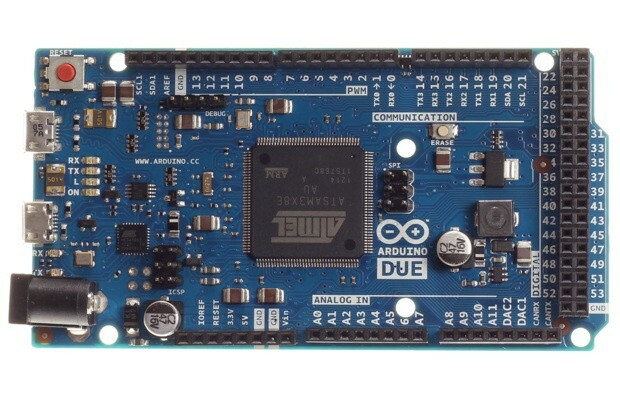 Arduino’s last product, the Arduino Uno micro-controller was a great product, in terms of providing an open source hardware for enthusiasts and considering the opportunities it provided for those with ideas. However, it lacked power. A 16 MHz chip with 14 digital and only 6 analog input pins limited the boards capabilities. However, though, Arduino was well aware of this fact and after much development a new upgraded successor to the Uno is here. The new Arduino Due gets a chip clocked at 84 MHz and sports 54 digital input/output pins and 12 analog input and 2 analog output pins. The new chip is an Atmel SAM3X8E that is based on the 32-bit ARM Cortex M3 architecture and even supports Android ADK 2012 protocol. These and many other new features make the Arduino Due a powerful tool in capable hands and the price tag of $49 means this small but powerful board will be the brains of many projects such as 3d printers, laser cutters and all sorts of homemade robots.